SINGAPORE — Economic ministers representing members of the proposed Regional Comprehensive Economic Partnership on Monday postponed the year-end target for reaching a "substantial conclusion" to the free trade deal, throwing its prospects into doubt. The ministers on Monday gathered in Singapore hoping to resolve sensitive issues, including lowering tariffs, but they failed to reach an agreement. RCEP members are expected to continue the talks next year, but it is now unclear whether a deal can be reached. "We made significant progress [but] not the final conclusion," New Zealand agriculture minister Damien O’Connor told reporters after Monday’s meeting, adding that he hoped a conclusion would come "next year." Leaders of the RCEP countries will hold a summit on Wednesday in Singapore, where they are expected to commit to continuing the talks. Japan’s trade minister, Hiroshige Seko, told reporters that the members closed some of the chapters at the meeting, saying that the discussions had gone as far as they could at the ministerial level. Separately, Indian Commerce Minister Suresh Prabhu told reporters: "We are very happy that India’s concerns have been taken on board, and we feel that we should conclude in a way that will be long-term sustainable so that every country will benefit from it." RCEP is envisioned as a huge framework for economic cooperation in Asia that encompasses China, Japan, South Korea, India, Australia, New Zealand and the 10 members of the Association of Southeast Asian Nations. The 16 countries together account for about 50% of global population and roughly 30% of the world’s gross domestic product. If RCEP takes effect, members will gain access to new export markets, draw more cross-border investment and encourage international movement of labor. Having a common set of rules should also make the region more attractive to multinational corporations. Progress on the negotiations has been slow since they began in 2013, due to wide differences among the members in their levels of economic development and trading interests. But U.S. President Donald Trump’s protectionist policies have spurred the discussions forward. 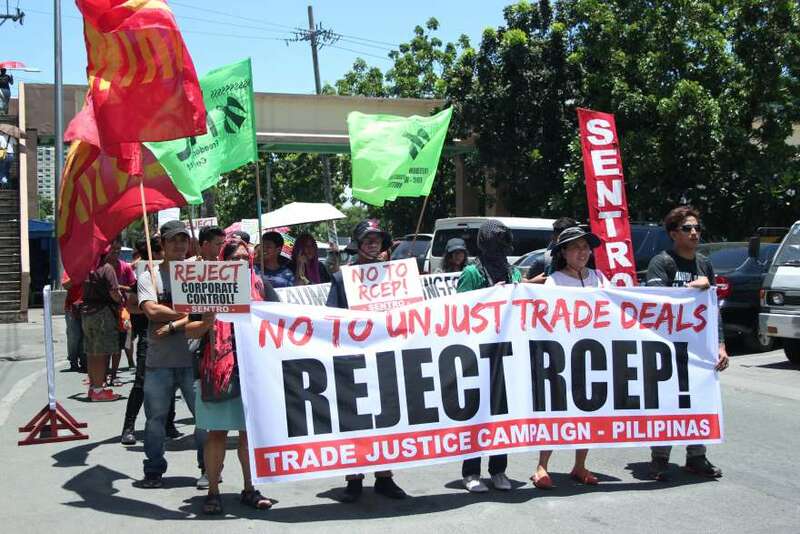 The signing in March of another regional trade agreement, the Comprehensive and Progressive Trans-Pacific Partnership, or TPP-11, which takes effect on Dec.30, was another encouragement to RCEP negotiators. Earlier this year, the ministers agreed to aim for a "substantial conclusion" to the talks by year’s end, overcoming the main obstacles to an agreement. But sensitive issues, including the scrapping of tariffs on agricultural products, facilitating cross-border movement of labor and setting up common rules for e-commerce must still be dealt with. Only five of the 18 "chapters," or major negotiation topics, had been closed before the Singapore meeting. One concern about the negotiations being postponed is that some members will hold elections next year, including Indonesia, India and Thailand. Political decisions over sensitive issues may be put on hold as the votes draw near.